Furniture never looked this good! We took the clean and eye-catching silhouettes of modern style and paired them with a rich wood finish to create this stunning collection for your home. This collection features occasional, dining, and media pieces. Leg Height: 7". 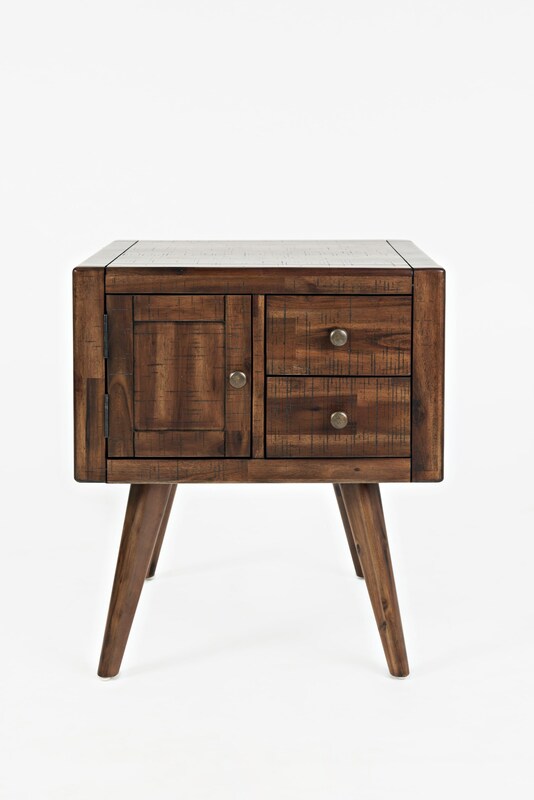 The Modern Living End Table by Jofran at Red Knot in the Oahu, Honolulu, Kapolei, Pearlridge, Salt Lake, Hawaii area. Product availability may vary. Contact us for the most current availability on this product.